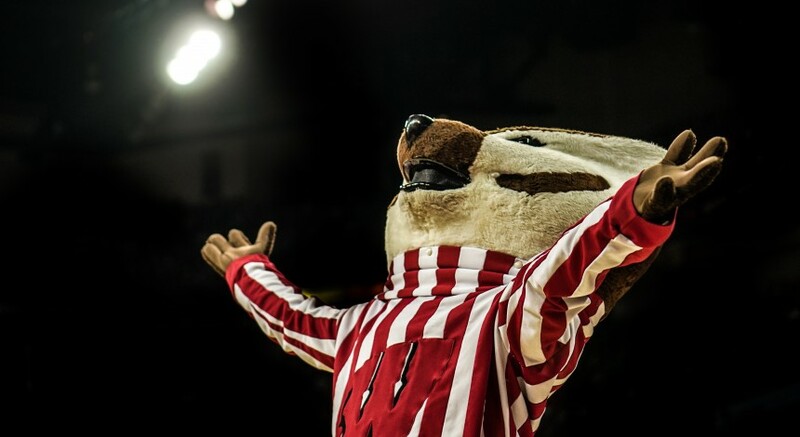 I love being Bucky during game days – being in the middle of all the energy and getting to make everyone smile is really fun. But I think they should let me out of the suit once the game is over. When I auditioned for the part, I assumed I’d only have to wear the suit when I actually appeared at games. I didn’t really realize the policy was different until I wore the Bucky suit for the first time at a football game last fall. I came back into the locker room after the game ended, out of breath and soaked in my own sweat after spending hours doing push ups and dancing around for the fans. I sat down and asked one of the trainers for help removing the costume’s head, because it’s very heavy and I didn’t want to drop it. I thought he was joking, but when I tried to take the gloves off University of Wisconsin Athletic Director Barry Alvarez came into the locker room and started spraying my bare hands with a pressure washer. This hurt my skin a lot, so I put the gloves back on to protect myself. Alvarez glared at me for a long time, and then left the room without saying anything. I get that we’re always supposed to be in character when we’re wearing the suit, but this seemed like a severe reaction, and I think I should be able to take the suit off when I’m not at the game. Having to wear the Bucky suit makes my daily life a lot more challenging. Typing on my laptop and taking notes is difficult with the big furry gloves, and the humidity inside the suit is really bad for my asthma. I can’t get solid food in the helmet very well, so when I’m hungry I just tilt my head back, pour whole milk through the eye hole and try to get as much of it as I can. This has been working alright so far, but I just think everything would be easier if I could take the mascot suit off even for an hour each day. Last February, I went into Alvarez’s office to ask him if he would reconsider this policy. I explained to him that living inside the Bucky suit was sort of difficult, and I suggested that I be able to take the suit off at night, when nobody could see me. Alvarez didn’t react, and at first I thought he hadn’t been listening. But then he stood up, walked over to me and fired a starter pistol right next to my head. I feel like this was sort of unreasonable on his part, and I still haven’t heard back from him on my proposal. The worst part of this year was when I had to take time off from school to attend my aunt’s funeral in Iowa. I felt like the UW athletic department might understand the circumstances and allow me to change out of the costume, but when I called Alvarez and asked about it, he immediately hung up. The next day, I found a dead crow on my doorstep. I don’t know if Alvarez was responsible for this or not, but I decided not to press the issue. Wearing this big flashy mascot suit to Aunt Jenny’s funeral was humiliating. I got tired of explaining to my grieving relatives why I couldn’t have just worn a normal suit, so eventually I just stopped talking and pretended I was at a football game. I couldn’t hear the eulogy my mom gave, and my grandfather spat on me as he was leaving. Again, I feel like this situation could have been avoided if the UW athletic department didn’t force me to wear this costume year round. Overall, getting to wear the Bucky suit is a really cool experience. It’s great to be able to represent the university like this, and I love the look on everyone’s faces when I show up in costume to school events. If it were up to me, though, I’d like it if I could even just take off the helmet once in a while.